He exchanged to the 15th Hussars in 1808, and took part in Sir John Moore’s expedition to the Peninsular, being wounded at Sahagún fighting the French. He returned to Spain in January 1813, in command of a cavalry brigade, which saw action at the Battle of Morales. He continued to serve in this capacity, with one interruption, until the end of the Peninsular campaign. Wellington was less than impressed with the performance of Grant’s hussar brigade at the Battle of Vitoria and Grant was eventually replaced in command. However, Grant’s political influence meant that he soon returned to the Peninsular to take over command of the light dragoon brigade of Robert Ballard Long. He was appointed KCB in 1814. 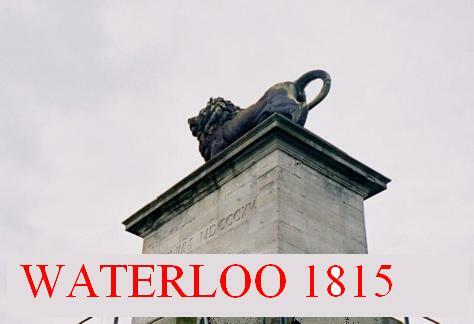 At Waterloo, Grant commanded the 5th Cavalry Brigade, consisting of the 7th and 15th Hussars with the 13th Light Dragoons attached, which was stationed in the centre of the allied position; during the battle he had five horses shot under him. Grant was promoted to lieutenant-general in 1830, and he served as a Tory Member of Parliament (MP) for the rotten borough of Queenborough from 1831 until the borough was disenfranchised under the Reform Act 1832. Grant was a groom of the bedchamber to Prince Ernest Augustus, Duke of Cumberland, later King of Hanover. He was reputed to have been the strongest man in the British Army, and was given the nickname “The Black Giant.” He was appointed colonel of the 12th (The Prince of Wales’s) Royal Regiment of (Light) Dragoons (Lancers) in 1825. He transferred to the 15th (The King’s) Regiment of (Light) Dragoons (Hussars) in 1827, succeeding the Duke of Cumberland, a post he held until his death.